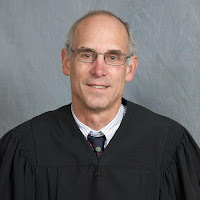 The propriety of pleadings in a New Matter contained in an Answer and New Matter to a Complaint were addressed by Judge Arthur K. Zulick of the Monroe County Court of Common Pleas in the case of Higgins v. Jimenez, No. 429 CV 2016 (C.P. Monroe Co. Aug. 24, 2018 Zulick, J.). This matter arose out of a motor vehicle accident. The Plaintiff filed Preliminary Objections asserting that this boilerplate language contained in the New Matter was insufficient under the fact-pleading requirements of the Pennsylvania Rules of Civil Procedure. In the Brief in Opposition, the defense argued that, under the Rules of Civil Procedure, the Plaintiff was not even required to respond to the affirmative defenses contained in the new matter when they only contain conclusions of law as, under the Rules, such affirmative defenses would be deemed denied. The Defendant also asserted that, although a Plaintiff may have a long time to prepare a Complaint, a Defendant’s pleading in response to the Complaint had to be filed within only twenty (20) days of service of the Complaint. As such, the defense argued that this short period of time did not provide the defense with time to investigate all potential affirmative defenses or gather facts in support of the same. In this regard, it was additionally noted that a failure to raise affirmative defenses could result in a waiver of such defenses under the Rules. For these reasons, the defense asserted that there conclusory defenses set forth in the New Matter should not be deemed to be objectionable at this stage of the litigation. Judge Zulick agreed that the better approach was to allow for the raising of affirmative defenses as conclusions of law without the need for specific facts to support them at the time of the filing of the New Matter. The court went on to state that, at a later point in the proceedings, any affirmative defenses that remain without adequate factual support could be dismissed by way of a pre-trial motions. As such, the court allowed the specific affirmative defenses identified by the defense, but it granted the Plaintiff’s Motion to Strike the Catchall Allegation of “and any other affirmative defenses set forth in Pa.R.C.P. 1030(a) as that particular allegation was too vague. In his opinion, Judge Zulick emphasized that the court expected counsel to raise affirmative defenses in good faith and with a reasonable anticipation that they were, or could be, supported by facts. The court noted that baseless pleadings could be subject to sanction by the court and attorney’s fees under 42 Pa. C.S.A. §2503(7). Source: “Digest of Recent Opinions.” Pennsylvania Law Weekly (October 2, 2018).